Each year your Greater Shreveport Chamber travels to Washington DC to advocate for our region. This year we traveled with Lisa Johnson from the Bossier Chamber; Chris Elberson, representing the Committee of 100,; Murray Viser representing Barksdale Forward; along with our Chairman Patrick Harrison; President Tim Magner; and myself. 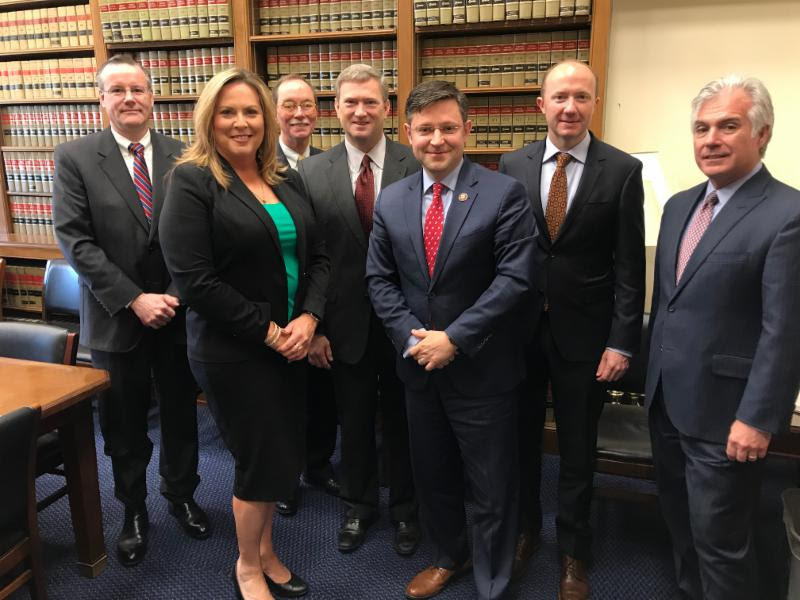 Our group met with the U.S. Chamber of Commerce to hear updates on National Legislative Issues, Transportation and Infrastructure Policy and Education and Workforce Policy. Much of the U. S. Chamber’s agenda fell in line with our current concerns. We were able to meet face-to-face with: Representative Mike Johnson, Representative Cedric Richmond, Senator Bill Cassidy and Representative Ralph Abraham. Senior staff members met with our group when the Senator or Representative was not available. The Louisiana Delegation, and their staff, had reviewed the advance materials provided prior to our arrival and many had additional questions or comments regarding the topics. President Trump’s 2020 Budget was released during our visit. Detailed information was slowly being released but the Louisiana delegation were unanimously concerned about cuts to the Corps of Engineers (Flooding, Red River, Costal Preservation) and funding to the Department of Transportation. The entire delegation agreed that the proposed budget would not be approved as presented. An increase in military/defense spending was a bright spot for our region. The Good News: The entire delegation believes that a Transportation and Infrastructure Bill will be the ‘olive branch’ legislation that both Democrats and Republicans can support. This legislation will be good for the country and can be supported by all. The Louisiana delegation is currently working on a letter of support that all members will sign regarding the Weapons Generation Facility at Barksdale Air Force Base. The delegation understood the need to dredge the river to 12’ and to consider a lock and dam North of Shreveport to increase commerce and mitigate flooding along the river. Mike Johnson has met with LA DOTD Secretary Shawn Wilson to encourage a Record of Decision for the I-49 Inner City Connector. This is expected mid-2019 and will designate the final corridor for the remaining 3.5-mile section of I-49 in North Louisiana. The Not As Good News: The match designated in the Infrastructure and Transportation legislation is unknown at this time. The last bill specified an 80/20 (local/federal) match. Many think we may see a 60/40 (federal/local) match proposed on new legislation. A 40% match will be a challenge for Louisiana. Most members of our delegation agreed to speak to Texas members about completing the Texas funded Environmental Study for I-69 from Tenaha to Stonewall. Texas has match funding available for projects and continues to upgrade the U.S. 59 Corridor to Interstate Highway standards – effectively bypassing Louisiana. Senator Cassidy suggested that our region look for Education Funding (Pre-K and Early Childhood) that could come directly to local School Boards and not be routed to Baton Rouge first. Senator Kennedy’s Legislative Assistant believes the decision on the Weapons Generation Facility at BAFB is at least a year away.